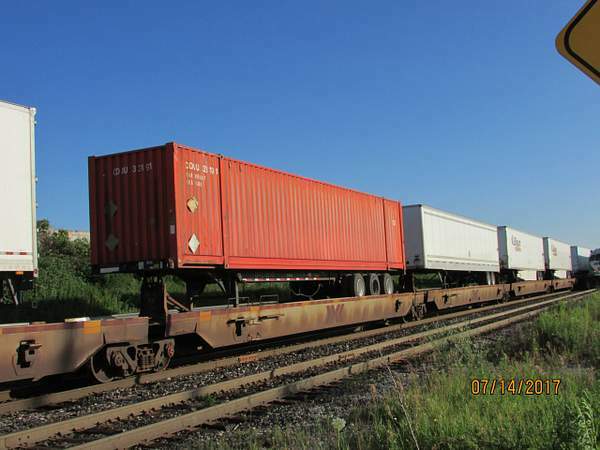 There were lots of empty platforms as the eXpressway train departed for Montreal on Friday July 14 2017. 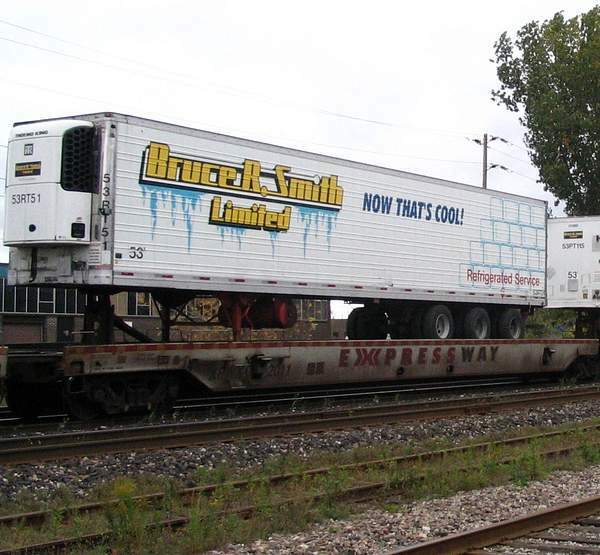 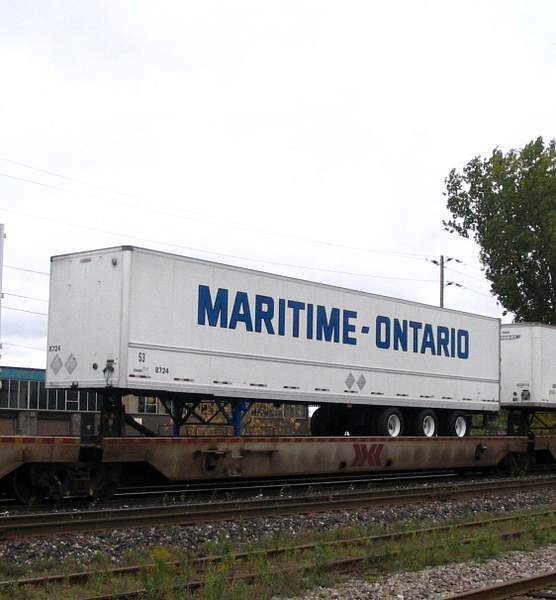 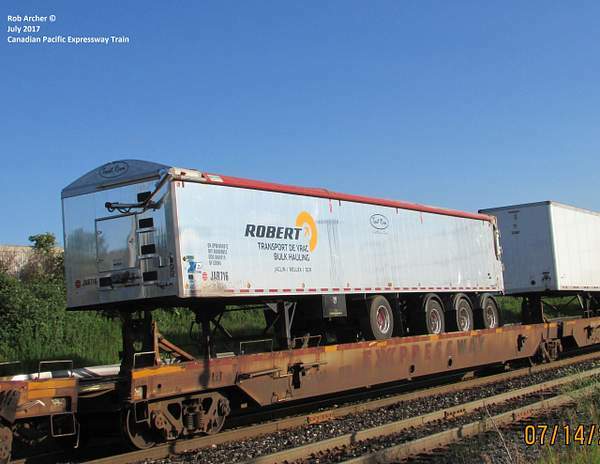 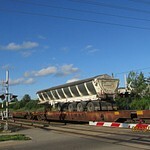 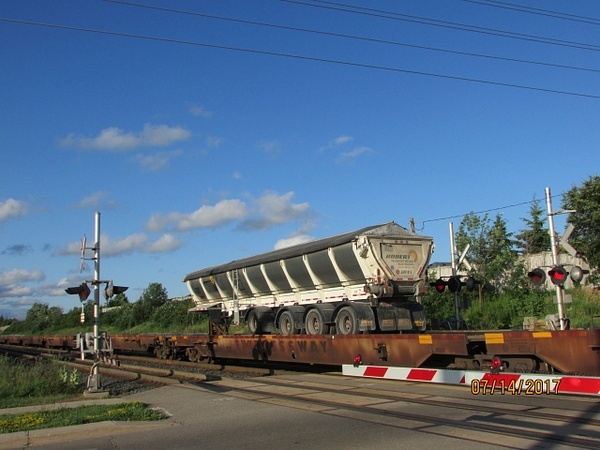 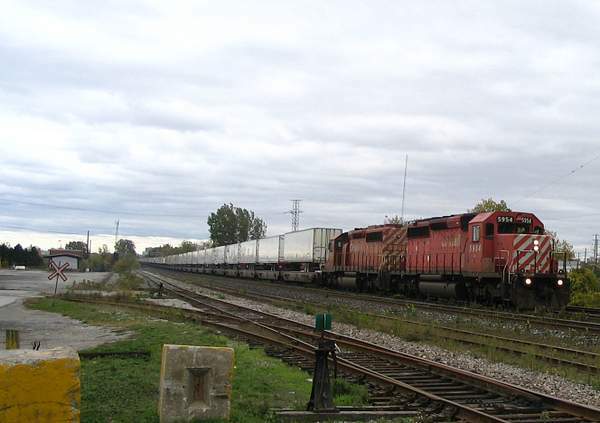 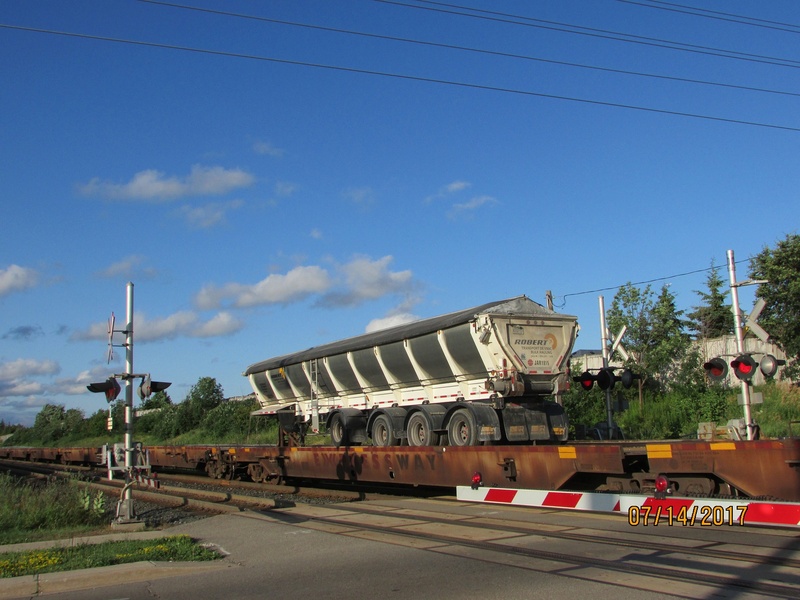 This train operated between Milton and Montreal and was dedicated to hauling truck trailers. 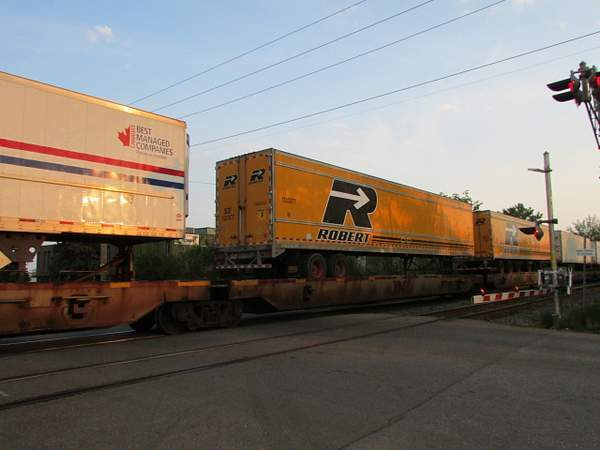 It was an attempt to put the IRON HIGHWAY train in operation. 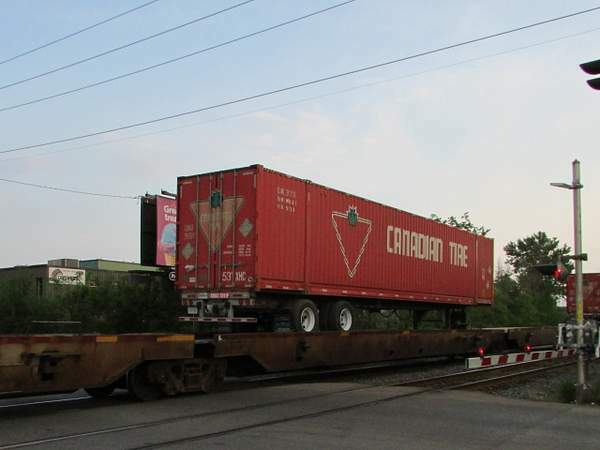 The train was cancelled effective June 1 2018 and actually was last run on May 28 2018.